Want to meet leading change-makers & innovators? Check out Stories of Impact in the Video Gallery! Watch now. In last year’s Social Impact Festival, we experienced Impact Seed’s first pitch event. 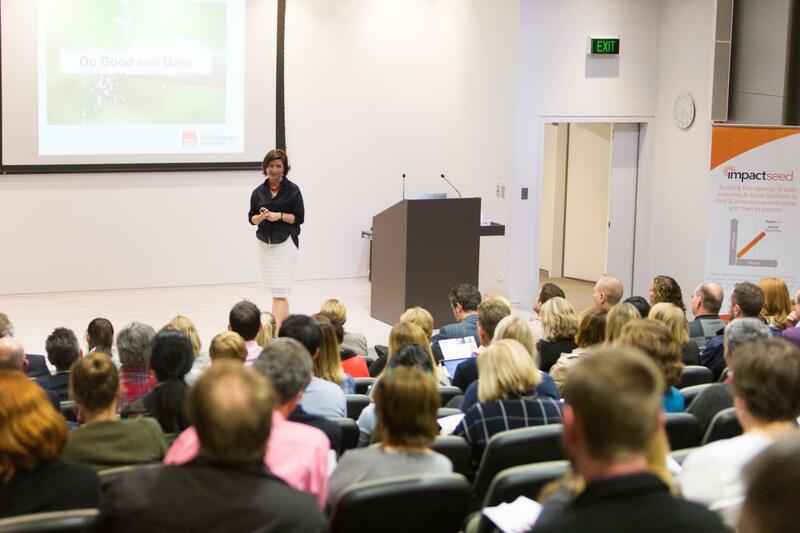 Featuring a keynote presentation from Bessi Graham (The Difference Incubator; pictured) and five compelling pitches, this event was an important step for social businesses and impact investing in Western Australia. Sven Stenvers and Kylie Hansen of Impact Seed will once again host the pitching event in this year’s festival, on Thursday 27 July. Read the article about Impact Seed in Business News. Find out more about Impact Seed.